sport to play in the fall her freshman year at Menlo School. "A couple of my friends were doing cross country, so I tried it," Lacy said. Now, after a stunning breakthrough as a senior, cross country is the sport of her future. Lacy's best time as a junior at Crystal Springs was 18:34. She ran 17:00 as a senior. "I did a lot of work over the summer," Lacy said. "I started a lot earlier than before. Getting that base was a vital part of my improvement." Coast Section finals with a time that was 37 seconds faster than any other girl runner. improvement over the previous year. 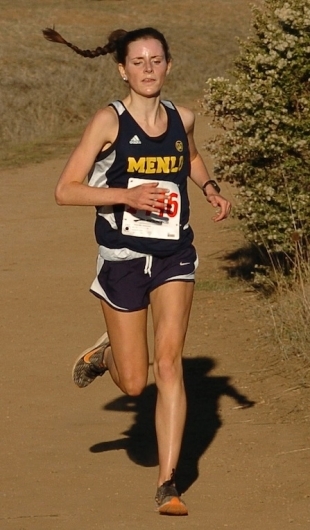 "She's only going to get faster," Menlo coach Jorge Chen said. "Her story doesn't end here." Chris Foster had no complaints about how he finished his high school cross country career. 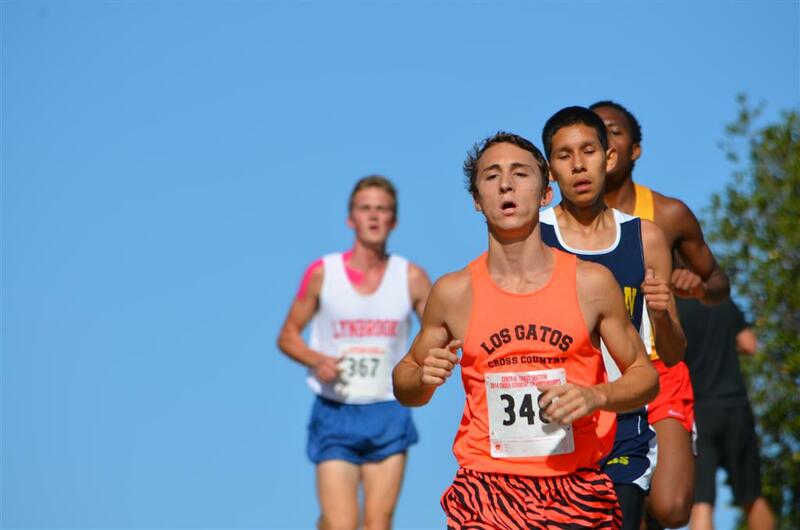 Bound for Humboldt State in the fall, the Los Gatos senior won another Central Coast Section championship and finished fifth in the Division II state race, running his fastest time (15:17) on the 3.1-mile course in Fresno. "I felt like all my races, I couldn't have done better," Foster said. "They all went better than I planned them to, and I couldn't be happier with the whole season." Foster won the Division II race at the CCS finals in 15:19 -- the fastest time in any division -- and earlier had the top time among Northern California runners at the prestigious Stanford and Mt. SAC invitationals. For this, he is once again the Mercury News boys cross country runner of the year. "The guy's a workhorse," Los Gatos coach Matt Snee said. "The season overall was very successful for him. It was a long one. He started training pretty early. We adjusted a little bit from last year to try to prolong his season for CCS and state performances. He did everything he needed to do." Foster said hard work and experience paid off this season. Raised in a running family -- his dad, Grant, is a former CCS champion -- Foster relied on numerous strategies to excel on race day. He also contributed to his team. "His ability to work well with others to progress the team -- not just himself -- is really impressive," Snee said. in the WCAL that are located in San Francisco.